In the annals of diplomacy, the Indo-Soviet Treaty on Peace, Friendship and Cooperation, signed in August 1971, is a unique document that not only epitomised the special relationship between India and the then USSR, but also acted as a guarantor of regional peace. The treaty may have been replaced by its modern version, but it’s legacy continues to underpin the burgeoning strategic partnership between India and Russia. Few treaties have played such an important role in shaping politics, history and geography of the world as the 1971 Indo-Soviet Treaty on Peace, Friendship and Cooperation. The Soviet disintegration and the end of cold war may have eroded some of its relevance, but nobody can deny that it still reflects the brightest moment in Indo-Russian diplomatic history, enhancing New Delhi’s international profile and consolidating the Soviet position in Asia. Many experts have compared the signing of the treaty as India’s second liberation, and they were right in many ways. To appreciate the historic significance of the treaty, it is important to recall the international and regional backdrop against which it was signed. As the struggle for independence in the erstwhile East Pakistan (now Bangladesh) gathered momentum in 1971, the possibility of a war between New Delhi and Islamabad loomed large in Asia. Pakistani President Yahya Khan had said that “if India made any attempt to seize any part of East Pakistan, he would declare war and Pakistan would not be alone.” Pakistan, with the tacit support of the United States, was trying for the UN involvement in East Pakistan, which was regarded by India as “an unnecessary interference in the internal affairs” of another country. China gave unqualified support to her “all-weather” friend Pakistan against India so that New Delhi would not dare to interfere in the domestic affairs of Pakistan. During the July 1971 meeting between Henry Kissinger and Chou En- lai, the Chinese prime minister had clearly indicated to the then US Secretary of State that in case of the Indo-Pakistan war over East Bengal, Beijing would launch military intervention against India on behalf of Islamabad. India was desperate to avert Chinese intervention. The new-found bonhomie between Washington and Beijing, and President Richard Nixon’s relaxation of trade and travel restrictions to China, marked a turning point in the US-China relationship. The improved Sino-US relations emboldened China to be unreceptive to Indian overtures. On the other hand, the US policy of supporting Islamabad at the cost of New Delhi reflected a pronounced tilt in favour of Pakistan at the height of the independence movement in the then East Bengal. Clearly, Nixon’s tilt towards Pakistan was, in a sense, aimed at moving closer to China. Kissinger’s visit to Beijing in July 1971 was primarily motivated by a common desire of the US and China to normalise their relations in the wake of serious Sino-Soviet dissensions. But the discussions held between Kissinger and the Chinese premier in the context of Indo-Pak tensions fuelled India’s apprehensions. During his brief visit to New Delhi in July 1971, Kissinger gave an unambiguous warning that in the event of Chinese action across the northern border, India could not expect any US assistance. India clearly saw Pakistan successfully coordinating its policies with Washington and Beijing against Indian interests. India was getting practically isolated in the international arena. While Kissinger’s visit to Beijing was a morale booster for Pakistan, it had an enormously demoralizing effect on India as it felt diplomatically humbled and strategically isolated. India could see a US-China-Pakistan axis emerging against its vital national as well as geopolitical interests. This was perhaps the most perilous moment for India’s independence in the history of the country. In keeping with the spirit of the US-China discussions held in Beijing, Washington took serious steps in July-August of 1971 that strengthened India’s fears and enhanced Pakistan’s intransigence. Against this backdrop, New Delhi and Moscow moved closer to ink the historic Indo-Soviet Treaty of Peace, Friendship and Cooperation to neutralize the emerging Washington-Beijing–Islamabad axis and defend their vital geopolitical interests. There is no doubt that the treaty became the most important safeguard for India’s sovereignty and territorial integrity, a strong deterrent to outside aggression, augmenting regional security and international peace. ”We shall not allow any other country or a combination of countries to dominate us or to interfere in our internal affairs,” India’s then Foreign Minister Swaran Singh said in a statement in Lok Sabha (upper house of parliament) after signing of the treaty. In an editorial, Pravda, a leading Soviet national daily, underlined the significance of the treaty, saying the treaty had effectively “restrained” Pakistan and her allies from embarking on a course of “military adventurism” in the sub-continent and would continue to act as a “deterrent” against the hegemonic goals. The treaty also signalled a clear warning to China’s hegemonistic ambitions in the continent. The treaty, which comprised about 1300 words in 12 articles, put a stamp of legality on the rapidly expanding multifaceted friendship and cooperation between the two countries over the years and elevated their ties to a strategic level. The Treaty was not a military agreement as described by some experts and honoured India’s non-alignment policy. However, its implications were very serious and clear if you read between the lines. The most significant clauses dealing with security issues were articles 8, 9 and 10 of the Treaty. Article 8 declared that neither state shall “enter in to or participate in any military alliance directed against the other party.” Article 9 of the treaty went a step further and stated that contracting parties would enter into mutual consultations when either of the parties is subjected to an attack so as to remove the threat and to take appropriate measures to maintain the security of the region. This article guaranteed that if either of the parties is attacked or threatened with attack then India and Soviet Union will “immediately start mutual consultations with a view to eliminating this threat.” The US, China and Pakistan could not have missed the message hidden in the clause. This must have frustrated the Chinese designs to intervene from the north, and the evil intention of US whose 7th Fleet was in the Bay of Bengal, part of its gunboat diplomacy to launch intervention from the east against India. The treaty, therefore, became a bulwark of regional security and world peace at large, and provided a strong boost to India and the Soviet Union for developing multi-faceted bilateral cooperation in all possible spheres of human activity, converting their ties to a special relationship in 1980s. The treaty, originally meant for 20 years, was to be extended for another twenty years in 1991. By the middle of August, 1991, it was clear that the two countries had expressed their desire to extend the treaty for another two decades. However, the so-called August 1991 coup in Moscow changed the course of history, hastening disintegration of the Soviet Union. A new treaty of friendship and cooperation was signed between the two countries in January 1993 during President Boris Yeltsin’s first and last visit to India, which replaced the historic Indo-Soviet Treaty. The fundamental differences between the two treaties lay in the fact that the new treaty was bereft of the vital security clauses that constituted the core of the Indo-Soviet Treaty. The security clauses became irrelevant after the end of cold war, said experts. This is how the historic treaty found its way to dustbin, reflecting Moscow’s ‘de-ideologized’ pro-Western foreign policy under President Yeltsin and his foreign minister Kozyrev. However, as Moscow’s honeymoon with the West came to an end, Russia under Prime Minister Evgeny Primakov’s stewardship looked for strategic partners in the East, re-discovering the virtues of the time-tested Indo-Soviet Treaty . The joint statement issued at the end of Primakov’s official visit to India In December 1998 made a special mention of the Indo-Soviet friendship Treaty for the first time in the history of relationship between India and the post-Soviet Russia. 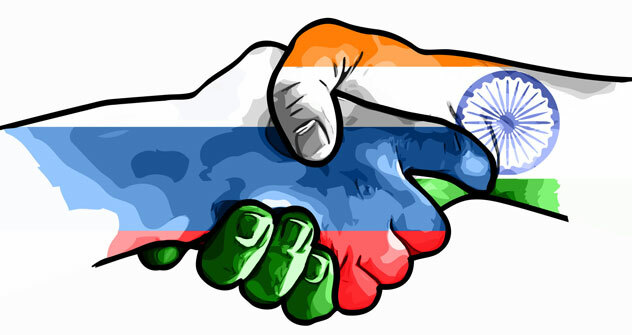 The statement affirmed that India and Russia would move towards a “strategic partnership,” and the declaration on strategic partnership would be a step forward in the elaboration of principles contained in the Indo-Soviet Treaty of 1971, Treaty of Friendship and Cooperation of 1993 and the Moscow Declaration of 1994. The Delhi Declaration on Strategic Partnership, signed during President Vladimir Putin’s first ever state visit to India in November 2000, indeed reflects some of the spirit and essence of the historic Indo-Soviet Treaty of 1971, building legal foundation for our robust strategic relationship which acquired a “special and privileged” status recently. Forty years on, the 1971 Indo-Soviet Treaty of Peace, Friendship and Cooperation may have been replaced, but its spirit and legacy continue to live in the Indo-Russian Special and Privileged Strategic Partnership of today. It remains as one of the most glorious and defining moments in the history of time-tested ties between the two great countries which are now emerging as global powers. Arun Mohanty is professor at the School of International Studies of Jawaharlal Nehru University (JNU) and Director of New Delhi-based Eurasian Foundation.